Michiko Kornhauser was a child living in Okayama during World War II. In this clip, she describes first meeting an American GI during the U.S. occupation of Japan after being brought up to hate and fear Americans. 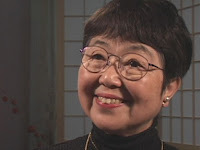 Michiko Kornhauser's full interview is available in the Densho Digital Archive through a partnership with Oregon Nikkei Endowment.